Choice of colours including black, white or pastel shades. Flush or wall mounted. 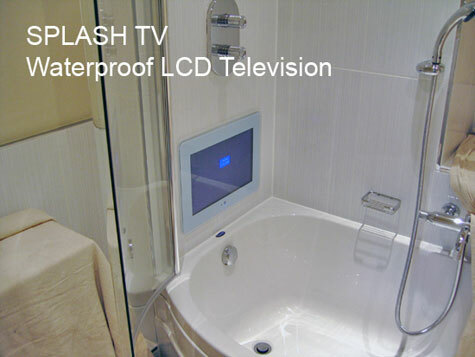 For those that enjoy the finer things in life, this 17.1” LCD Flatscreen Waterproof TV can be safely fitted into a bathroom to provide the ultimate in luxury bathroom TV. The super pin-sharp, LCD screen will allow you to lay back and have a soak in the bath, whilst enjoying your favourite TV or movie. The water resistant remote control can be used with wet hands, so even changing a channel requires no effort. as a local or central input.